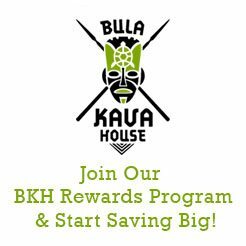 (Updated July 2018) Watch our new step-by-step video, presented by our founder and kava expert, Judd Rench. 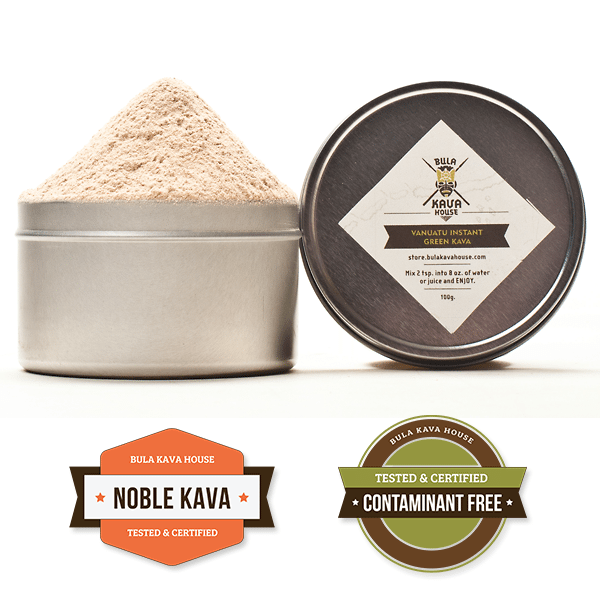 After you’ve enjoyed the video, be sure to purchase your favorite kava varieties on our website. Enjoy! Kava has been enjoyed for an estimated 3,000 years in many nations throughout Polynesia, Micronesia, and Melanesia for ceremonies, social events, and as a treatment for various physical and mental ailments. As time has progressed, so have the techniques used to make this sacred drink. Up until fairly recently kava preparation in many cultures was a painstaking task which involved having female virgins chew the very tough fresh kava root into a pulp, spit it onto a leaf, and finally strain water through the pulp to make the beverage. This process was a reason for many tribal girls to quickly find a husband before their teeth wore down to nubs from the constant kava mastication. Somewhat recently, because of a lack of willing kava chewers and the desire to prepare larger amounts of kava for bars and visitors, preparation has changed in many areas. 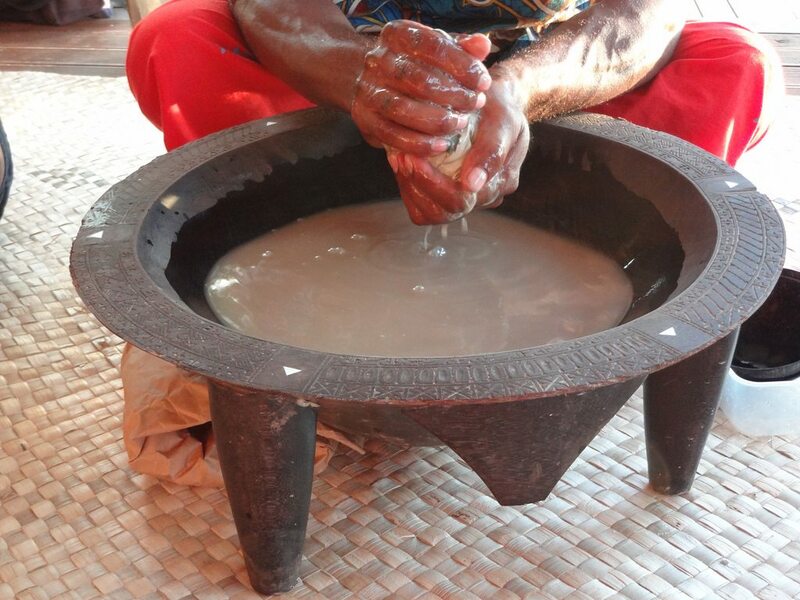 Now, if you visit a kava bar in Vanuatu for example, the kava will have typically been made by manually grinding the fresh root, mixing it with water and straining the liquid through some sort of fine mesh (A slightly more sanitary approach, I’d say). Tightly squeezing the liquid from a kava and water mixture is the key to a good brew, and although it is possible to manually squeeze up to ten gallons per day for a kava bar using a strainer bag, it didn’t seem all that efficient to me. My search for a solution led me to a juice press that uses a specially made strainer bag placed between two hydraulic plates. The first test of the press was a disaster with kava squirting out all over the place because the hydraulic plates were set to come together too quickly. This was followed with a bit of profanity and a lot of cleaning. Luckily, with subsequent tests we got the process down. Now, all we have to do is mix dry kava root with water, and let it sit for a bit before allowing technology to work its magic. Sounds like an awful lot of work!! I need it for insomnia. I will go to Brooklyn and try it in the bar. If it’s effective I’ll go on to the endless kneading process at home. Sounds like an awful lot of work!! I will go to Brooklyn and try it in the bar. If it’s effective I’ll go on to the endless kneading process at home. I do about 10 minutes with lots of high pressure kneading and squeezing. I like to listen to three songs while making kava. My brother suggested Imight like this blog. He was entirely right. consider simply howw much time I had spent for this information! Thanks! Is there an alternative without a mesh bag? I work at a hospital and sewed four laparotomy sponges together making a double thickness bag and it worked great! Are you using fresh Kava or dry Kava and rehydrating it?